He's beaten Klitschko, he's beaten Wilder (robbed), he's beaten depression but he couldn't quite beat a fence. Tyson Fury has overcome many tough challenges in his life. After weighing just a pound when born prematurely, he has gone on to become the unified heavyweight champion of the world when beating Wladimir Klitschko in the Ukranian's then fortress of Germany, then off the back of that getting through the biggest challenge of his life to date in battling mental health issues, most notably depression and losing nearly 10 stone in the process. The life of Tyson Fury has been an interesting one to say the least. Born into a travelling family based in Cheshire, the 6ft9 giant has continued to defy the odds not just as a human but as a boxer too. After walking into Jimmy Egan's gym as a 13 year old, he was well thought of as an amateur and was immensely unlucky not to represent Great Britain in the Olympics. He then decided to turn professional at the age of 20 and since then he has never looked back. His most recent success as a fighter came in Los Angeles at the start of December. After two fights in just three years, he took on the challenge of fighting the feared American Deontay Wilder. 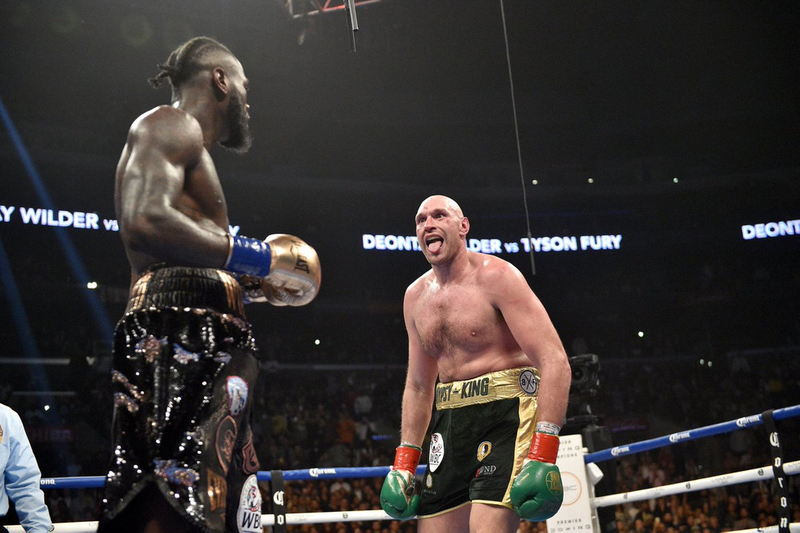 Wilder to date had knocked out every man he'd fought so Fury was up against it. But, like he has so many times before, he defied the odds and despite the fight been given a draw, every man and his dog on this planet knows full well Fury won the fight which denied him arguably the greatest comeback in sporting history. Fury has been brought up around horses for most of his life and as a youngster frequently attended the Appleby Horse Fair in Cumbria where mainly travellers from across the UK gather to showcase their finest stallions and finest fillies. Now one of the most popular sports stars on planet earth and hotly tipped to become this years BBC Sports Personality of The Year, a video of Fury has resurfaced from around 18 months ago of him hilariously trying to jump a gate.